There are currently 85,418 users on this website. 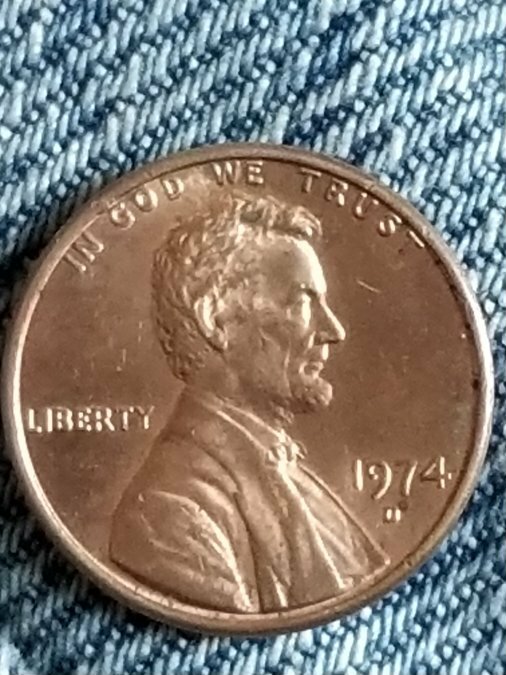 1974 D LMC Is This An Error? It looks like a die clash! 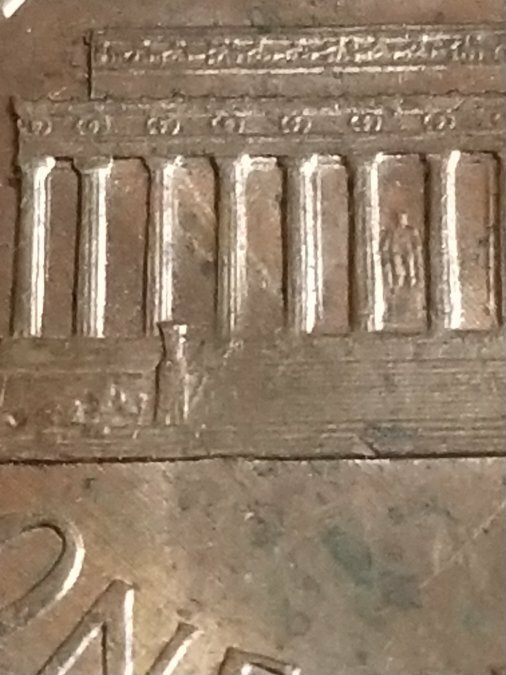 Here is a double die clash I found... see how a clash would appear on the reverse of the penny... this picture has a transparent overlay of the obverse...btw. 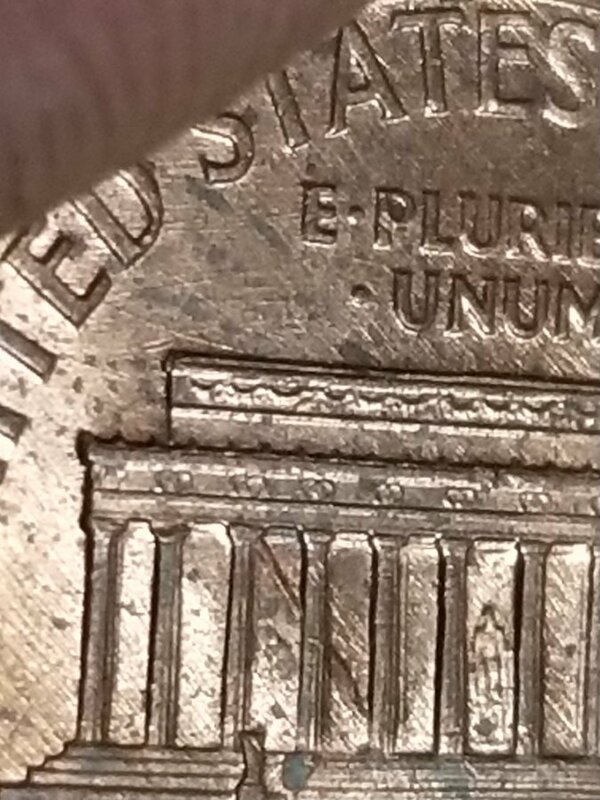 * Just took another look at your coin in comparison... now I am not convinced the mark lines up with a die clash...hmmm. 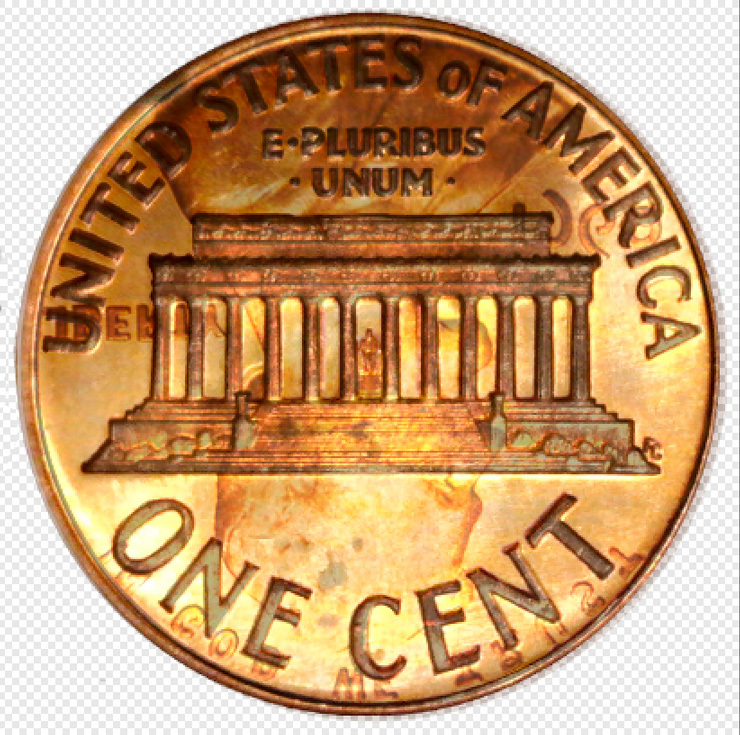 Question is there any sort of rotation going on the coin? Otherwise the die clash doesn't match up on the (angle?) of the back in column 3. Noting that column 4 also has something it it and again seeming the wrong angle. I'll let someone else give this a response! Keep in mind that during die clashes, it can rotate the dies a bit. 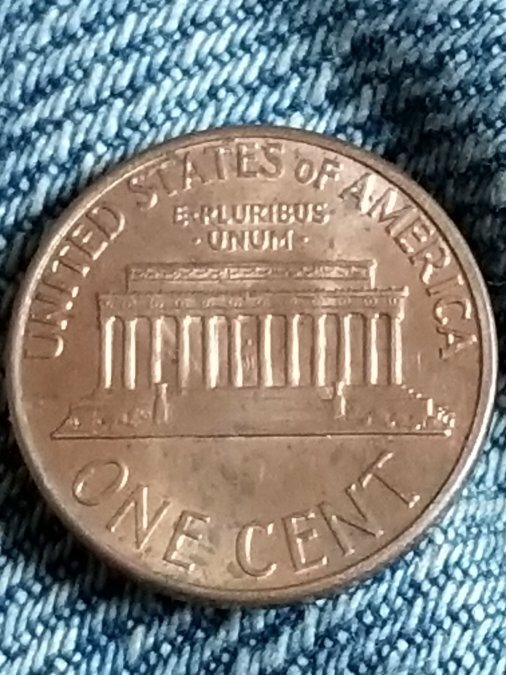 But the more extreme of clash the more it would be worth - like seeing the clash in columns on both sides of Memorial building or the top of the head near "one cent" or near the rim on top of reverse. This one is fairly average. Minor die clashes like this are fairly common. I don't think it would be worth much if anything. However, this coin is in good condition. It would be good for you to keep it as a reference.